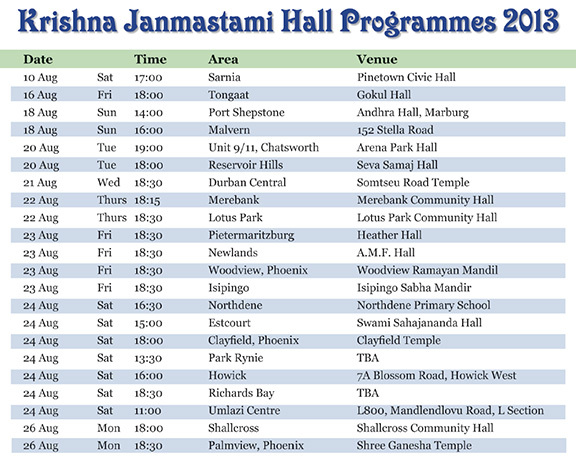 Sri Krishna Janmashtami festivals start from 10 August at the Pinetown Civic Hall. See attached poster for the various festivals over the next few weeks. Note that the programme is subject to change. Ladies can look forward to our annual tea party on Women’s Day, Friday, 9 August. Join us for morning tea and cake and discuss modern day spiritual living. One of our guest speakers is Claire Newton a psychologist, trainer and coach, who will hold a practical demonstration on “Body Language for Confidence” –it’s not ‘what’ you say but ‘how’ you say it. 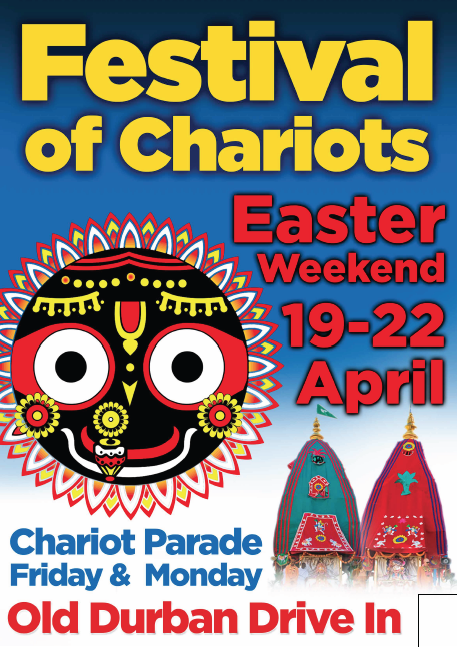 There will also be exciting games, prizes, special treats, and a Vedic fashion extravaganza. There are limited seats so booking is essential: 084 261 7605. 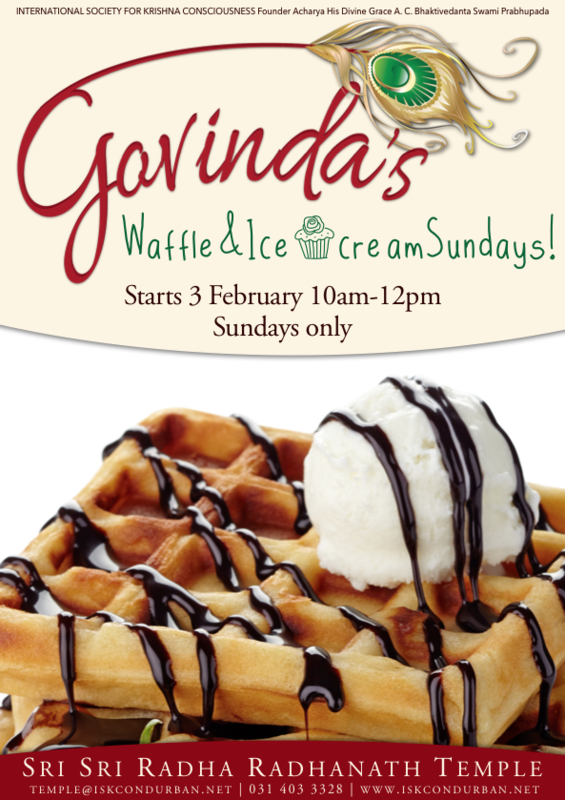 See poster for details. 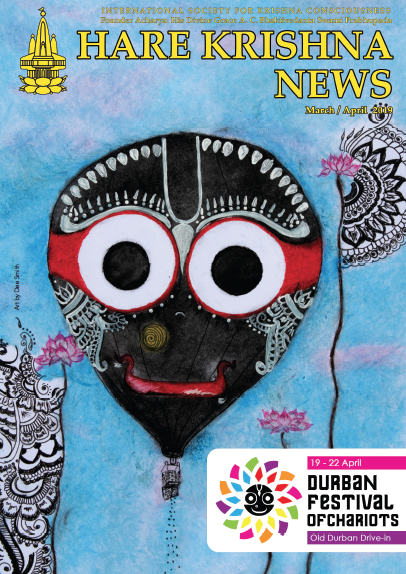 Subscribers to Back to Godhead magazine can look forward to your magazine along with the Sep/Oct Hare Krishna News in the post next week. 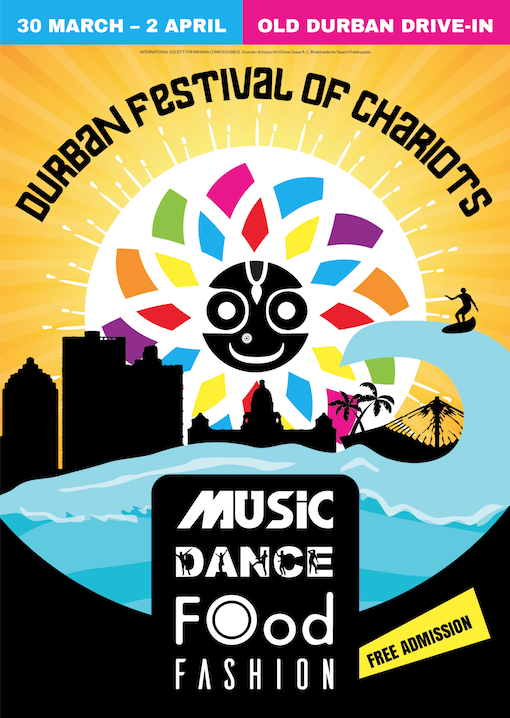 For the minimum donation of R50-00 per month will receive a free hard bound copy of the Krishna Book. For R80-00 per month will receive a free Prabhupada Lilamrita set (7 hard bound volumes). For R100-00 per month, will receive a free Caitanya Caritamrita set (9 hard bound volumes). 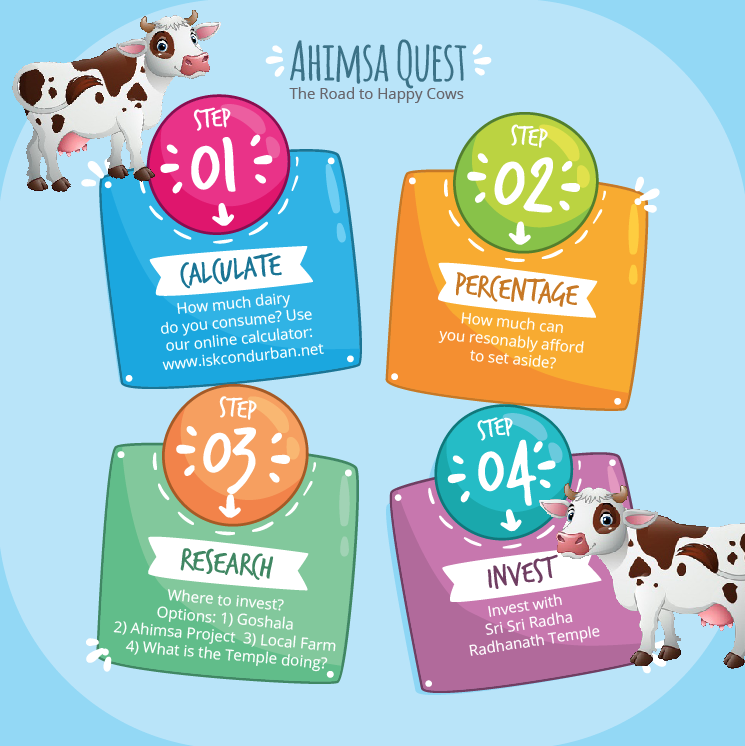 The above incentives also apply for existing donors who increase their donations by R50, R80 and R100 respectively. All marathon participants will receive gifts at a special awards ceremony and the winner will receive a return ticket to India (for a pilgrimage to Vrindavan). The Sunday Love Feast new topic is “The Advent of Krishna”. Part 1-Kamsa’s Persecution on 4 August, Part 2- Vasudeva’s Diplomacy on 11 August, and Part 3-Prayers by the Demigods and Krishna’s Birth on 18 August. Remember, you can listen to talks held at the temple on Durban Krishna Sound Cloud. The ABH is holding a Community March-An action against violence towards women and children. We have been invited to have harinam and book distribution. We will meet at 9.30am in the temple car park. If you would like to assist in making placards contact Divesh: 074 162 6834. 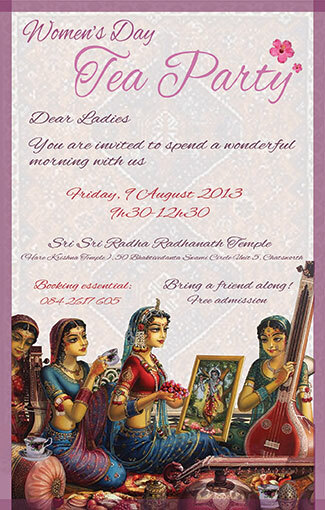 Sri Sri Radha Radhanath Temple Love Feast with His Holiness Partha Sarathi Das Goswami at 3pm. The Merebank Sanathan Dharma Woonathee Sabha invite you to a talk by Vibhu Caitanya Das on How to Develop Humility for Spiritual Advancement at 6:30pm.